Kwik Kleen grain cleaners assist farmers with the problems incurred while drying and storing grain. By removing fine materials prior to drying or storage, air can flow through the commodity more evenly and efficiently. 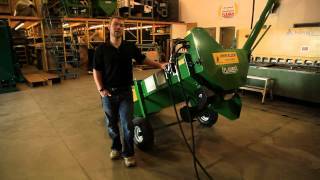 All Kwik Kleen models are available with electric or hydraulic drive mechanisms, and feature easily changeable screens. Over 20 screen sizes are available to accommodate nearly all commodities.